We understand that when there is an issue or repair that must be made on your roof it is not a simple decision. You want to get it done fast to avoid further repairs, but you also want to be sure to pick the correct roofing company to avoid even further damages as a result of speedy, inexperienced roofers. Whether you are looking for a residential roofing company or a commercial roofing company, it is important to choose a professional, experienced, and proven roofer to ensure that the job is done both efficiently and correctly. If you are looking for a quality roofing experience, choose Nice Shingles Roofing & Exteriors, your local Stroudsburg, Pennsylvania roofers. 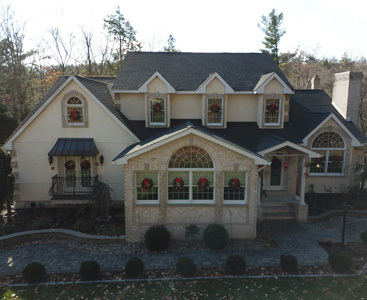 We understand that undertaking a roofing project in Stroudsburg or the Pocono’s can be daunting and choosing the right roofing contractor can be difficult. The contractor you choose can make your roofing project an enjoyable experience or a headache that can last for weeks or months. If you want it done once, the right way, call us at Nice Shingles Roofing. You will not regret it — and that is a promise. Contact us today for a accurate, detailed written estimate.